The Education Department pursues the Zoo’s mission to “Inspire Passion for the Natural World” through innovative educational programming and exciting “hands-on” and “minds-on” activities that encourage and promote lifelong learning. The Birmingham Zoo offers enriching educational opportunities for people of all ages! Explore all the pages in this section to view the Zoo’s wide variety of interactive learning programs. We have programs for kids and families, schools and other groups, college students, adults, and teachers. Also be sure to check out our Nightlife Programs and the Zoo Keeper for a Day programs – both of which are fun for people of all ages! For information on upcoming events, recent accomplishments and more, visit the Education News page. For additional inquiries or to register, please contact the Education Department at 205-397-3877 or education@birminghamzoo.com. Teachers please note: We are happy to support student inquiries into animals, animal care, conservation and other related topics to the best of our availability. Please be aware when making assignments that involve contacting the Zoo that our staff is unable to respond in person or by telephone to interview requests. Students may send 3-5 questions via email to education@birminghamzoo.com. Due to the large number of requests, we aim but cannot guarantee to answer inquiries within 10 business days. We are also unable to accommodate job shadowing requests but you may refer students to our ZooKeeper for a Day program. Shelby County is committed to educational programming within the metropolitan area that supports economic development and tourism. 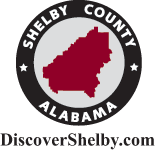 For more information, visit www.discovershelby.com.